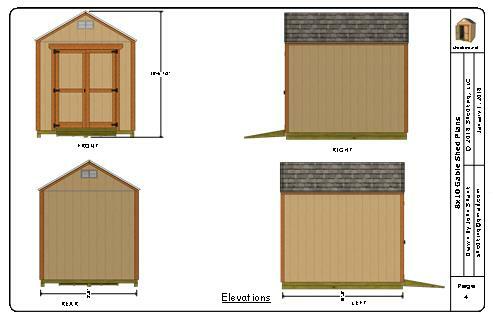 With these 8x10 gable shed plans you can build a nice little storage shed, playhouse, chicken coop, dog house, she shed and more! 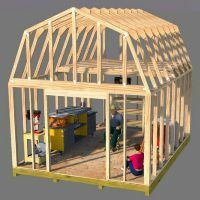 I've written these plans so they are easy to use and follow for both the first time builder or experienced builder! Instant Download in .pdf file format. 25 Pages of Building Blueprints. 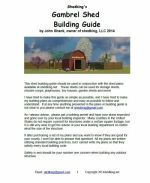 The front page of the plan download will have 2 links - one for the building guide shown above, and one for the materials list shown above. 8' Wide x 10' Long and 10' 6" Tall. Interior wall height of 7' 1.5". 3 pressure treated 4x4x10' skids for floor support. 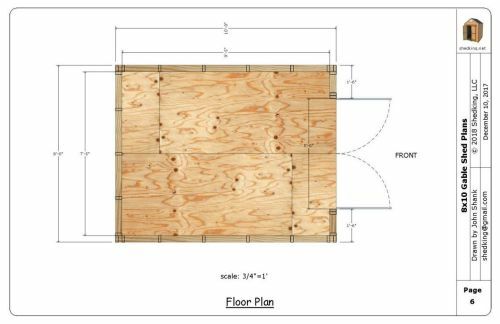 Wood shed floor with pressure treated 2x6 floor framing 12" on center. 2x4 wall construction framed 2' on centers. 2x6 header construction over the door opening. 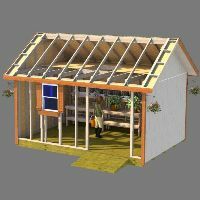 Roof framing consists of trusses you pre-build for the interior and 2 gable end. trusses. The trusses are spaced 24" on center. Homemade 5' wide double shed doors on end wall 6' 5.5" tall. LP Smartside siding panels shown in blueprints. Cedar trim is shown on the plans but composite trim is also an option. 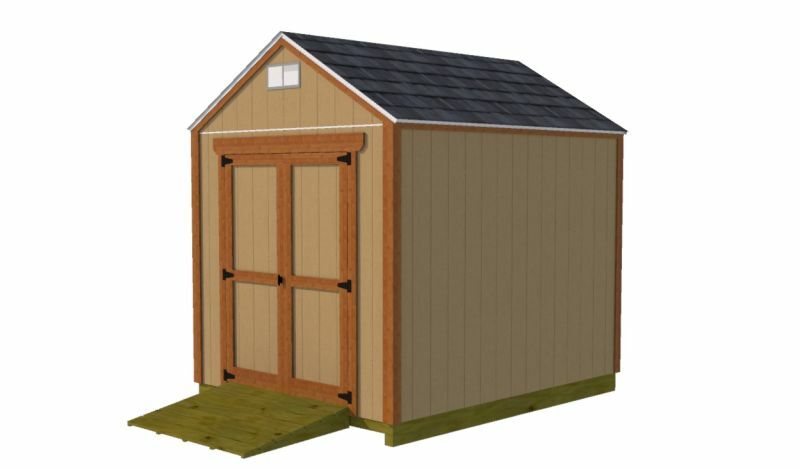 If you are ready to build this neat storage shed please use the buy now button located below. Payment is processed through paypal and ejunkie.com. You do not need a paypal account for this purchase. Emailed Plans are in .pdf format for immediate download for $8.95. If you should have any problems with the download, please check your spam or junk email folders as sometimes your email provider may move the download into one of those folders. If that is still not the case, please contact me and I will send the plans as an attachment to a reply email for you. 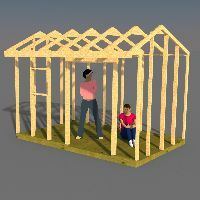 All of my shed plans are done with a program called sketchup pro. It's a fantastic program that allows me to develop the plans in 3 dimensional views and full color showing all materials in their actual state and not plain old black and white. If you would like to receive a copy of the sketchup file for these plans please contact me. I also can send the materials list in excel or open office format for you.